I'm sure that a great deal of folk are familiar with SEGA's fighting game franchise, Virtua Fighter. The second Virtua Fighter game basically revolutionized polygonal 3D fighting games, and without it, there would be no Dead or Alive, no Tekken, no Battle Arena Toshinden. And there would be no Fighting Vipers. Fighting Vipers is one of SEGA's lesser known fighting game properties, alongside Last Bronx and Toy Fighter. 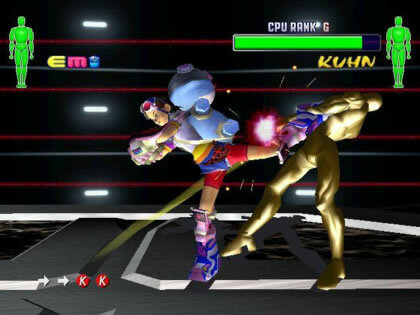 It is, in essence, much the same idea as Virtua Fighter, though in the place of a simple blow for blow fighting game, we have an armor system and hyper modes (activated by getting naked). It is the "Thinking Man's" Virtua Fighter, and has gone mostly forgotten over the years. These mechanics would later be seen in entries within the Soul Calibur series, no doubt straight lifted from Fighting Vipers. The second entry in the Fighting Vipers series also features Super K.O.s, which count as two knock-outs rather than one if inputted correctly — alongside the series staple of replacing ring-outs with solid walls you can launch the opponent through. One such stage, on top of a skyscraper, has you launching the opponent most certainly to their death, accompanied by their screams. Despite being excellent games with well developed characters and a superb audiovisual design, there have only been two and a half games in the Fighting Vipers series. I make the "and a half" distinction as SEGA released a spin-off for the Sega Saturn called "Fighters Megamix", which featured the fighting mechanics of Virtua Fighter and Fighting Vipers mixed together, with characters from each franchise alongside other SEGA characters including those from Sonic games. While there is a cult following behind Fighters Megamix, far less people know about Fighting Vipers 2. This needs to change, because despite being barren of replay incentive, it still happens to be endlessly replayable. This game hit the arcades originally, released on Naomi hardware which allowed the inevitable Dreamcast port to follow. It features the entire cast of excellent characters from the original Fighting Vipers, alongside four new characters. The character models and environments look stunning on the Dreamcast, and the game plays smooth as butter with no uncomfortable slow-downs or hiccups. Quite frankly, it's an arcade perfect port... though with nothing else besides the arcade version's content, sadly. I too get hyper when I lose my clothes. Outside of a smattering of console features such as one additional hidden character, a survival mode, versus mode and a practice mode (which does not feature command lists, by the way) the game is otherwise a 1:1 conversion from the arcade. This is the most disappointing thing about Fighting Vipers 2, as it wouldn't have been too difficult to string together a mission mode, like the one found in Virtua Fighter 5 Final Showdown. 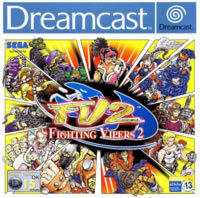 Upon playing Fighting Vipers 2, it's pretty clear that the game is such a magnitude greater than every other fighting game on the Dreamcast (including the excellent Virtua Fighter 3 TB), but even so it could have used some significant extra content to extend its lead against the competition, rather than earning its position solely on the solid core. Fighting Vipers 2 has some really sound mechanics that I'd have loved more opportunities to use. During battles it controls so fluidly, as though every action you make comes from the brain straight to the controller buttons. Whether you want to block, use an attack as an opportunity to counter and follow-up with punishment, or to roll out of a stun while in the air to convert it into an aerial attack, it's all functionally sound and you never feel like you're in over your head however heated the battles get. During arcade mode, how well you do indicates which branched path you take, but even this doesn't seem to have any huge impact upon the game progression or yield any rewards besides score. Without a story mode, there is no reason to care much for the characters, and no incentive to learn everybody's moves and combos. Without a system like Dead or Alive's Triangle System, there's no meta-game to keep fights exciting. Once you've found a few decent combos and patterns for whittling down enemies health, there's little else the game can reasonably throw at you in order to stump you, and little reason to sample other characters. Such a purely enjoyable fighting game could do with some extra content, at least more than simply a nurse's outfit for Honey, the poster girl of the series. Its contemporaries had full-blown story modes (Soul Calibur) or unlockable VMU games (Power Stone) that would keep players coming back, while almost everything Fighting Vipers 2 has is already available the moment you insert the game into the console. It is by the sheer quality of the game's presentation, controls and mechanisms that even with no extra story content or incentives to play, it still scores so highly. 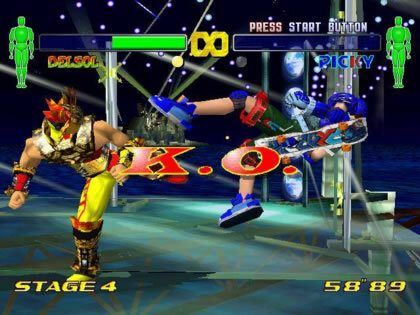 With some substantial single player content this complex fighter could have become the Dreamcast's most well recognized fighting game offerings, but has instead been destined for a life of utter obscurity. If any SEGA property is worthy of another sequel, it's Fighting Vipers (besides Jet Set Radio Future, of course). It is by virtue of Fighting Vipers 2's phenomenal control and design that I recommend it to fighting enthusiasts and video game collectors, but to everyone else you'd be safe to pass it up even despite its score and my various accolades, based on its resale price on the second-hand scene and limited home release.